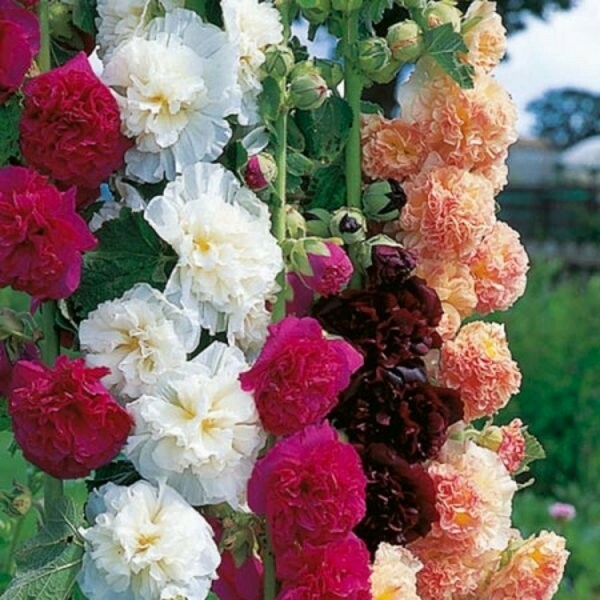 For colour that towers to almost two metres high these fantastic hardy perennial Hollyhocks have to be it! Always a favourite, Hollyhocks are very easy to grow plants for the back of beds and borders that will add brightness and cheer wherever they are planted. Loved in cottage style gardens, these hollyhocks will command the center of attention with their 3-4 inch wide flowers. 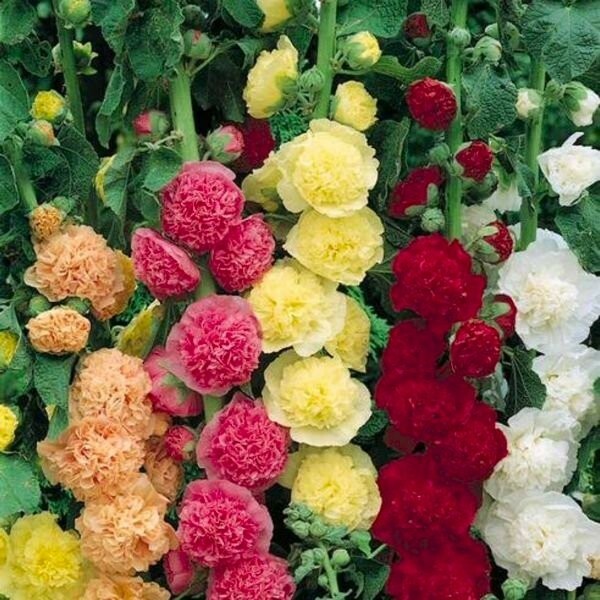 The showy blooms are double and ruffled in a full range of colours from white, red, yellow, maroon, purple, pink, peach and more. Hollyhocks provide excellent architectural height, contrast and a certain amount of old world charm to cottage gardens and border backgrounds. Also effective, when grown in a cluster, against walls or fences. than varieties of old thanks to the bicolour effect of a glowing central eye in every flower, which really adds contrast. Our special mixture here includes all the colours available. Cut stems of these blooms are also magnificent for a vase indoors, or simply enjoy the stunning effect of a group planted in your garden. Pack of THREE quality 1 litre pot grown plants, ready to fill your garden.